Makers of insulated ski touring overpants seem to agree that Polartec® Alpha insulation is the key ingredient. Millet is no exception, as they chose the surprisingly breathable fill for the new PM Alpha Pant. The annual Pierra Menta in France, home of Millet, is just the type of race that might require some backup insulation. Further, the company’s headquarters in the Alps has just the type of big lines nearby that might require it as well. Zip on the pant over a lighter layer or skin suit and be thankful for the warmth. Perfect for warmups, long races, and big adventures. The Millet Pierra Menta pant is designed to be used, with a seamless crotch panel, drop seat system, and integrated scuff guards. Flex Comfort™ build has a sporty cut for performance. 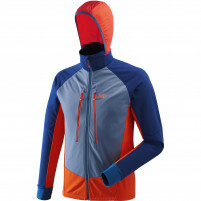 Full-length side zips let you put on the pant with skis on. Adjustable waist and hem adapts to various under layers. Pertex® Microlight rip stop and scuff guards add durability. Zipped security pocket and drop seat ability are thoughtful. Are you going to stock these pants in size small? Hi Ben, looks like we are already out of smalls. 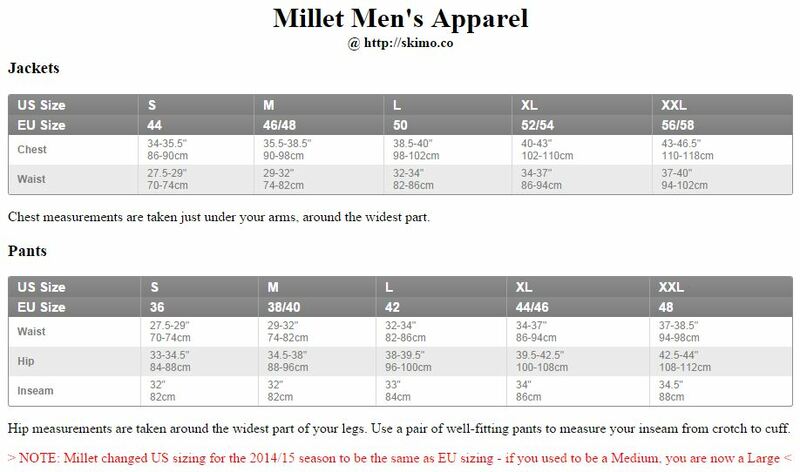 I will check with Millet on further availability and send you an e-mail. Also we will have/will have the Dynafit Mezzalama XS and Crazy Idea Half Blade S available, which are similar in size.